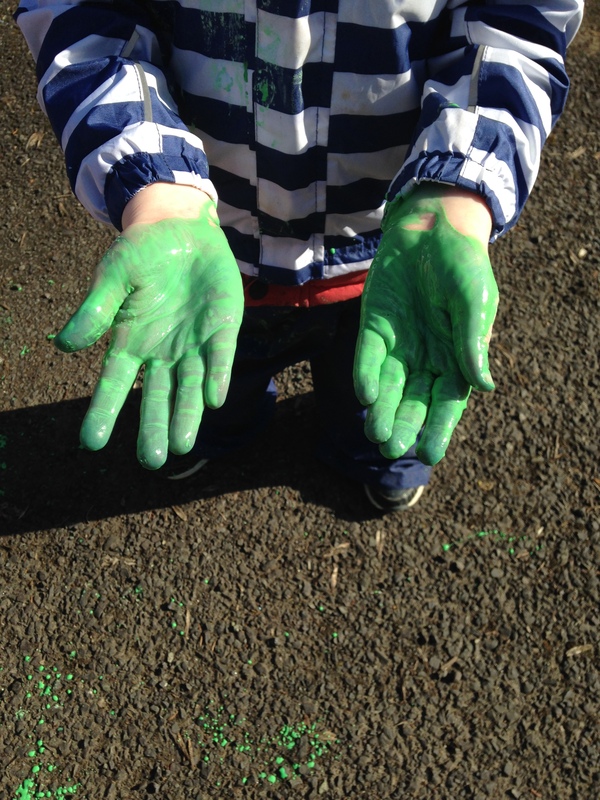 Sticking with our St. Patrick’s Day theme we decided to enjoy some outdoor messy play with Green Gloop today! Beach fun in the (cold) Spring sun! Spring has finally arrived after months of horrendous storms and we have been making the most of the good weather and getting out as much as possible. We even managed a trip to the beach yesterday. 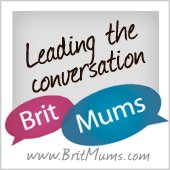 It was a gloriously sunny Spring day – cold(approx. 7 degrees Celcius) but calm and clear. 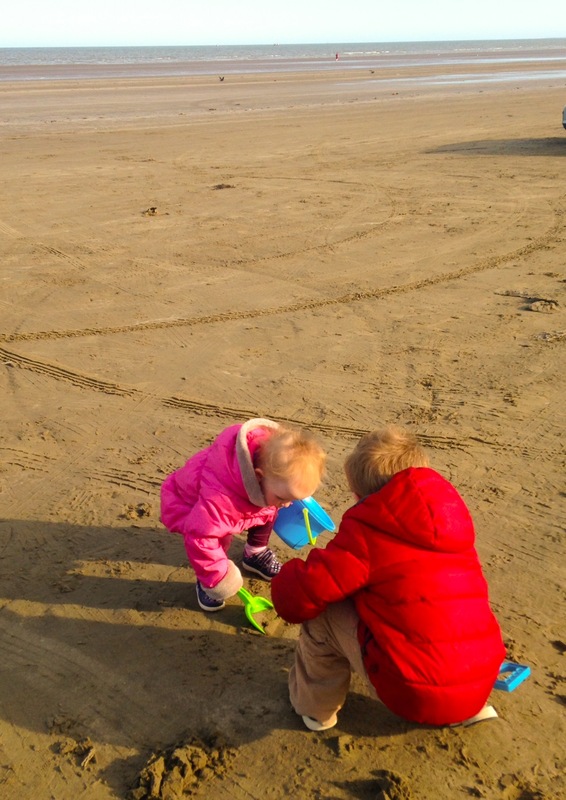 Doodles (4 ½) and Oodles(2) had so much fun all wrapped up building sandcastles! 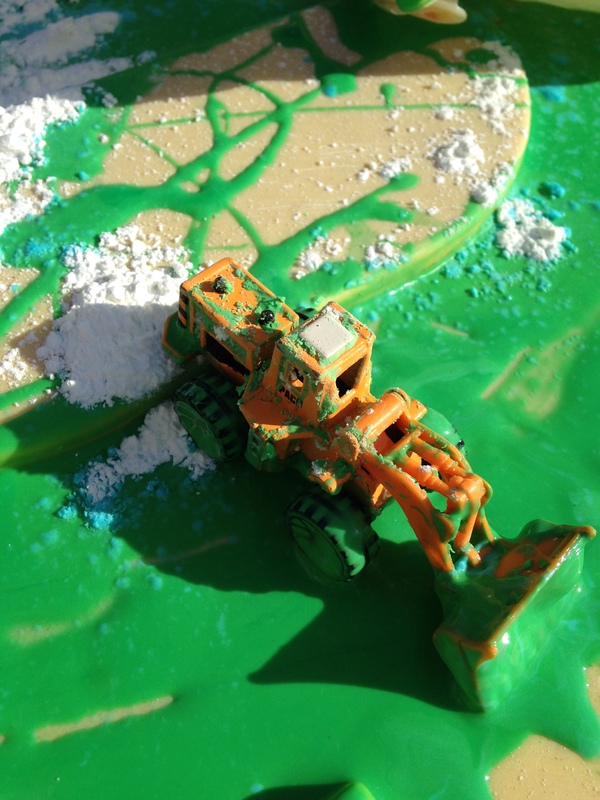 So, today I decided that it was a perfect afternoon for some messy play. 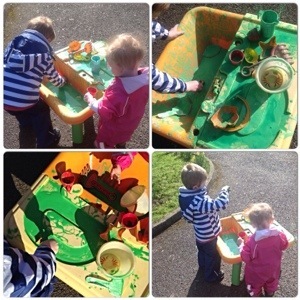 I cleaned out the sand and water tray that was frozen solid (very icy last night) and moved it to the sunniest spot in our garden for some gloopy fun! 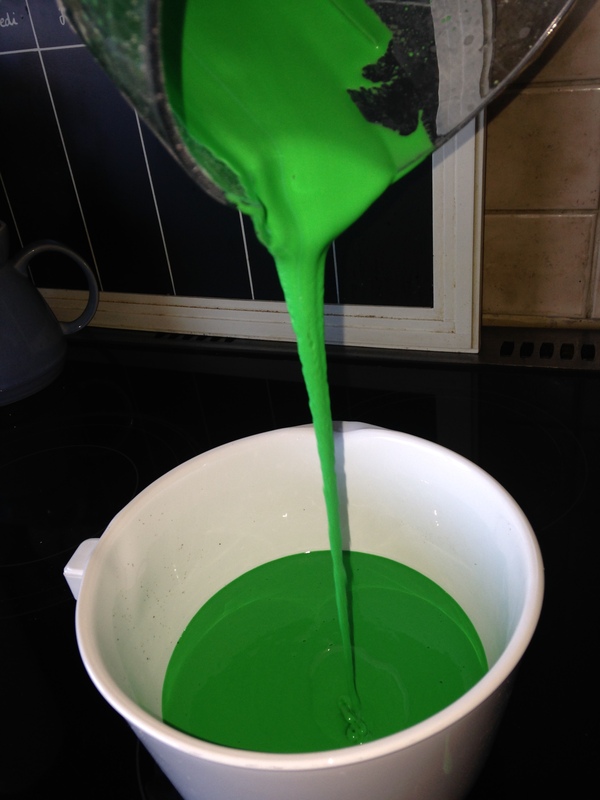 Basically, gloop is simply cornflour (corn starch) and water. When mixed together it makes a really smooth paste that feels both “liquidy” and solid at the same time. It feels really nice when running through your fingers and children love playing with it. D and O would play with it all day, everyday if they could. It is VERY messy, so unless the weather is really awful I save this activity for outdoors. Slowly add the water to the other ingredients and mix well. It should be runny but not too runny, you should be able to scoop it up in your hands. It should run through your fingers but will become more solid again once it hits a hard surface! We mixed our gloop and then added it to our cleaned out sand and water tray. I let D and O decide what toys the wanted to use to play with it. I had a collection of lolly pop sticks, cars, blocks, Lego etc on hand for them to choose from. Don’t worry if everything gets covered in gloop, it washes off with warm soapy water or in the dishwasher. 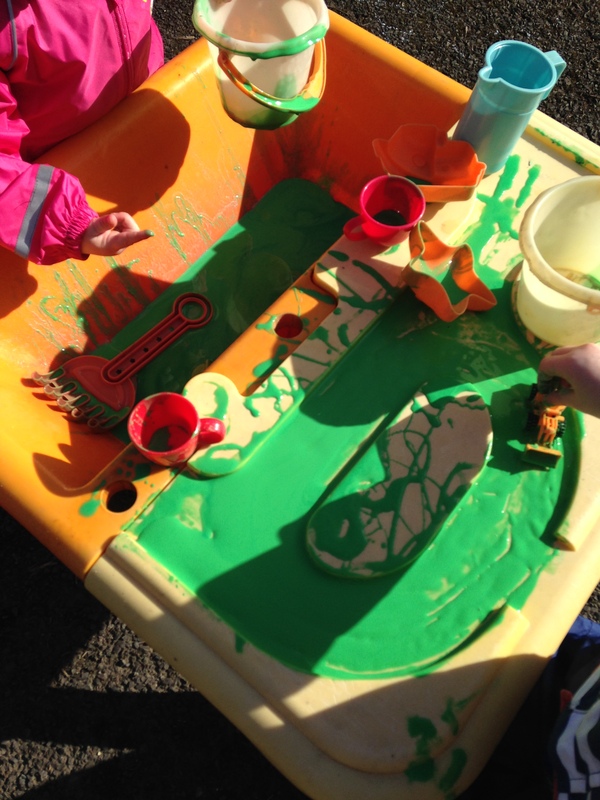 It’s good old fashioned messy play out in the open air! D and O wore their wet gear over their winter coats while playing to save their coats and clothes from green mess. During the summer I don’t mind what they wear out to play, but its still too cold to be playing in wet clothing! The best part of the activity for D and O was cleaning up the drive way with the hose after!